The master bedroom is separated from the living area, contains a queen size bed, bedside tables, dressing table, wardrobe and ceiling fan. Sheets, pillows and cases, blankets and towels are provided. There is a walk-thru bunkroom with three bunks. 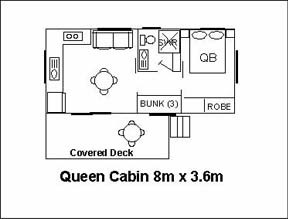 Queen Cabins have an open-plan lounge/kitchen/dining area. 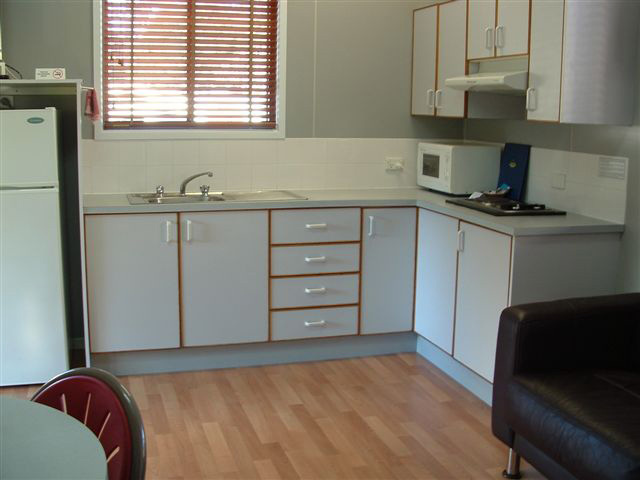 Self-contained kitchen has a microwave, fridge/freezer, cook-top, electric frypan, cookware, cutlery, crockery and dining table/chairs. 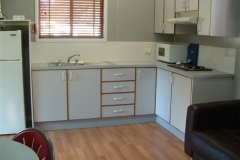 The living area includes TV, Foxtel & DVD player. The bathroom has shower, toilet and vanity. 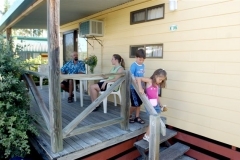 All cabins are non-smoking with reverse-cycle air-conditioning and ceiling fans and include a covered deck with outdoor furniture.